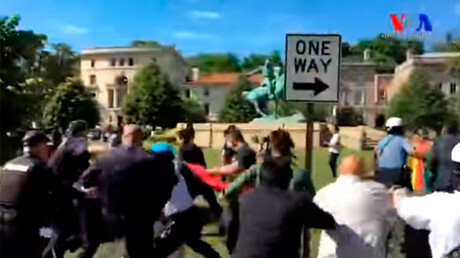 The German Foreign Ministry has informed Ankara that the Turkish security officials who were involved in an outbreak of violence during protests near the Turkish embassy in Washington, DC should not come to Germany for G20 summit, Die Welt daily reports. The ministry “made it clear” to Turkey that those charged in the US over their involvement in the violent incident in the US capital in May should not come to Germany for the G20 summit, which is scheduled to be held in the city of Hamburg on July 7-8, the German daily reported, citing government officials. Earlier, the Turkish embassy in Berlin handed over a list to German authorities of some 50 persons who were expected to accompany President Recep Tayyip Erdogan to the summit. 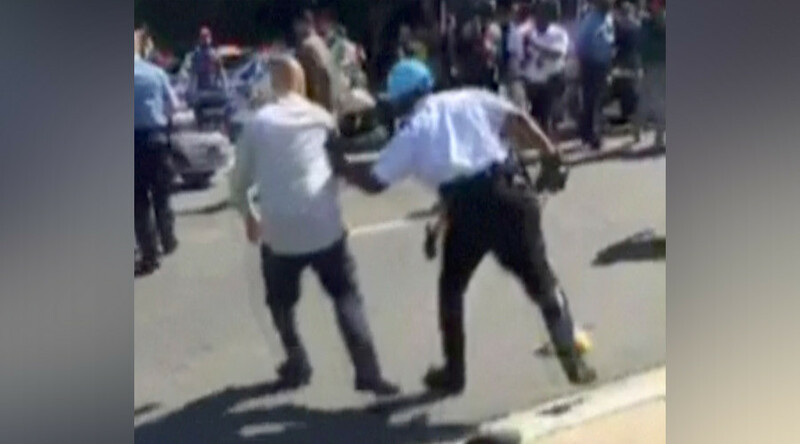 That list contained the names of “several” security officials charged in the US over the embassy brawl, prompting the German Foreign Ministry to take action. Asked to comment on the issue by Die Welt, German government officials said that “some precautionary measures have been taken to prevent the recurrence of an incident” similar to the one that took place in Washington. The German Federal Criminal Police Department (BKA) also informed Ankara that abuse of authority by Turkish security officials would not be tolerated. “Our foreign colleagues possess exclusively a right for statutory self-defense” on German territory, the BKA said, as cited by die Welt. Hamburg regional authorities also said they would keep the situation around the Turkish security officials under review. They said they would familiarize the Turkish delegation with the local rules of legal order and closely monitor the Turkish security officials’ compliance with these regulations. 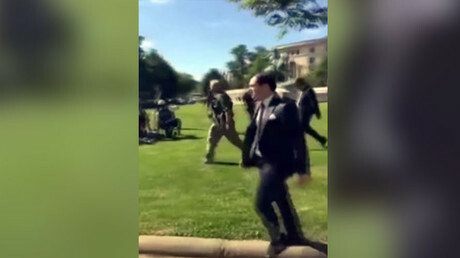 US police brought charges against 12 Turkish security detail over scuffling with protesters outside the Turkish embassy in DC during Erdogan’s visit to the US on May 16. Video from that scene showed Erdogan’s bodyguards hitting and kicking protesters who had gathered outside the residence, and getting into scuffles with local police and Diplomatic Security Service (DSS) personnel. The incident provoked a diplomatic scandal. In June, the US House of Representatives passed a bill condemning the Turkish government over the incident. In response, Turkey slammed the US for “aggressive and unprofessional actions” by police and diplomatic security service towards Erdogan’s bodyguards. On May 22, the Turkish Foreign Ministry summoned the US ambassador in Ankara and gave him a note of protest against what it called actions “contrary to diplomatic rules and practices.” Later, Erdogan also slammed the US authorities for charging his bodyguards over the incident. The German authorities anticipate that Erdogan’s visit could trigger a wave of protests in Hamburg as it would lead to the “mobilization” of protest groups as well as of the nationalist Turkish forces inside Germany. “Kurds can attack nationalist Turks and vice versa,” the German domestic security service, the BfV, said in a confidential report seen by Die Welt. There is a large Kurdish community in Hamburg, including 600 supporters of the Kurdistan Workers’ Party (PKK), which is considered to be a terrorist group by Ankara, the daily reports, citing security sources.